The first time I tried Pie society was years ago when they had a Popup somewhere at a hipster place. I remember liking it. When I saw them actually open in Jingan, I had to try it. Went there for Sunday brunch and it was pretty crowded. We were lucky enough to get the last empty table. 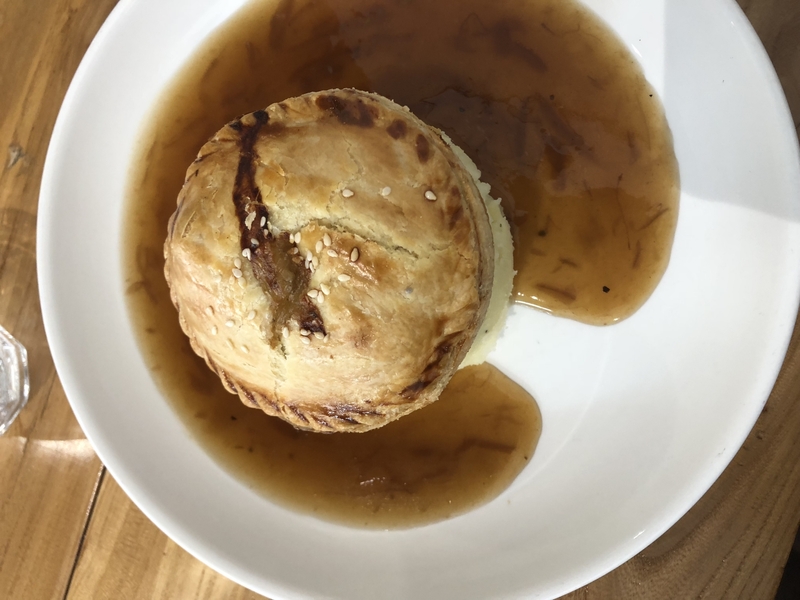 I had a Chicken pie with classic mash potato and onion gravy (RMB 70), and my boyfriend got a classic English breakfast (RMB 88). The pie was creamy with chicken and wine sauce. The pastry was on the dry side, but tolerable with the fillings. The part I didn’t like about the dish was the onion sauce. 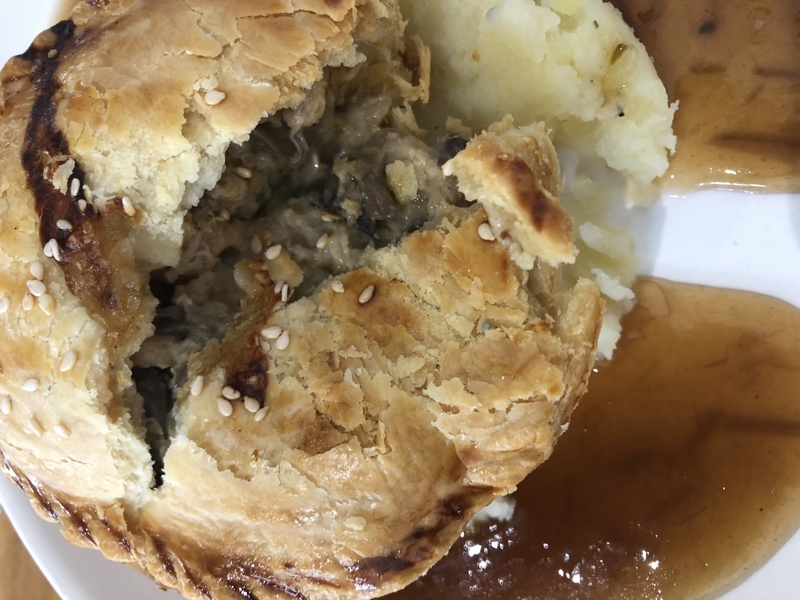 It looked transparent and didn’t taste rich like a gravy should be, and since the pie was soaked fully in the sauce, I didn’t finish it. 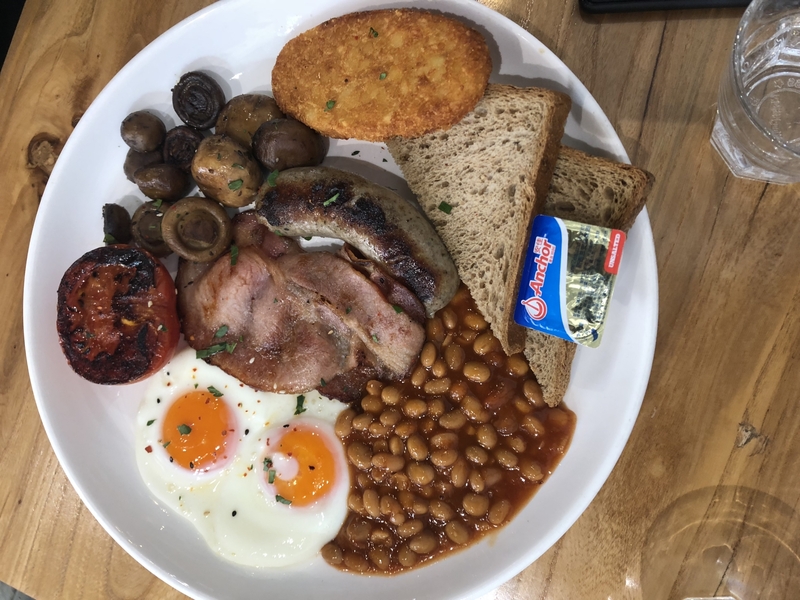 The full English breakfast was tasty, especially the well-cooked mushroom and the super crispy hash brown. Both meals came with a sufficient portion and will make you feel pretty heavy afterwards. The ambience was nice and clean. Black and white theme with wood elements and cute lights hanging on each table. It’s modern yet cozy. Perfect for a day like this. I can’t say the restaurant is not good, but can’t say it’s good as well. 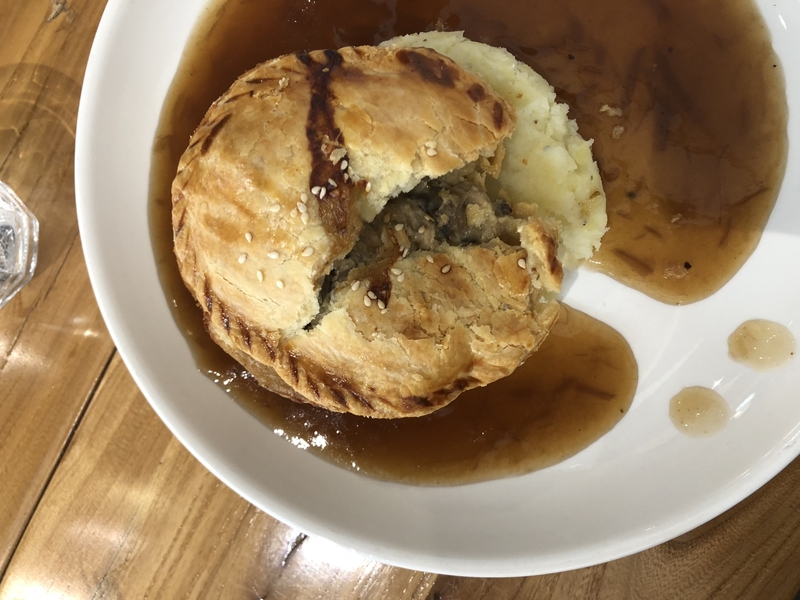 Perhaps it’s just not my cup of tea, but I guess it's pretty legit for a English pie in Shanghai.